One of my favorite streets to go out drinking with friends is Joaquin Costa. On the edge of El Raval near Plaça Universitat, it runs just off Roda Sant Antoni. It used to be a bit on the prostitute ridden side, but it goes through ebbs and flows. If you start heading down you'll pass a closed movie theater and a little ways past that on the left is the Oddbar. Like it's name implies, it's a strange place inspired by Terry Gilliam's Tideland and decorated appropriately with bright color and bobblehead dolls. They're known for their mojitos and the staff is friendly with a crowd consisting of Barcelona's hipsters and it's got one of the trippiest bathrooms in town. A little further down is Benidorm on the right. You have to buzz in and then walk down a short set of steps. It reminds me of the LA dive bars I used to frequent back in the day and there's usually good music playing in the background ranging from Lou Reed to hip-hop spun by a Finn to whatever the guest DJ is playing. On the Corner is Casa Almirall, which is one of the older bars in Barcelona and I imagine how most places were a century or so ago. Inside, the elaborate wood work, high ceilings and wall size mirror gives it a modernist feel reminiscent of the buildings of the L'Eixample while the electronic music tends to be at a volume that requires you to just raise your voice. Meanwhile, if you need to take a break from the boozing and line you stomach, there's a new burger joint called Betty Ford's, which according to Duncan at Barcelona Life is one of the best in town. For pizza lovers, there's Original Pizza which offers slices. 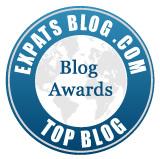 For other places to eat, Suzanne at Expatica did a nice job of compiling various posts.